Astra Expert Gel Effect 04 Danse | Light Your Nails! Quick post today because once again I have a bad migraine. No fun and no news. The nail polish I am showing you is no. 4 from Italian brand Astra’s Expert Gel Effect line. On Astra’s web site it says it’s called Danse. It’s an antique pink creme, a really pretty colour. Application is easy and it’s incredibly pigmented. At first coat your mani is basically good to go already. It dries quickly to a glossy finish. Photos show two coats, no top coat. Oggi post veloce perchè sono di nuovo alle prese col mal di testa. Che novità eh? Lo smalto che vi mostro è il n. 4 della linea Expert Gel Effect di Astra, sul sito indica Danse come nome. Si tratta di una lacca color rosa antico, davvero molto bella. La stesura è semplice e la coprenza è altissima: già alla prima passata di smalto la manicure sarebbe perfetta. Asciuga velocemente e con un finish lucido. It’s no news I love this nail polish line by Astra. They do have another line called myLaque but the Expert Gel Effect one is my favourite. Price tag is super cheap, less than 3€, and quality is really good. And let’s not forget the 5-free formula i.e. Astra’s nail polish doesn’t contain harmful ingredients such as formaldehyde, formaldehyde resin, toluene, camphor and DBP. I think that’s it for today. How do you like this shade? Is it too “good girl” for you? Non è una novità che io adori questa linea di smalti Astra, mi piace molto di più della myLaque. Il prezzo è basso, meno di 3€, e la qualità è ottima. E non dimentichiamo la formula 5free, che significa che questi smalti non contengono formaldeide, canfora, resina di formaldeide, toluene e DBP, che sono ingredienti nocivi. Direi che per oggi è tutto, cosa ne pensate di questa tonalità bon-ton? Vi piace? It is lovely, I would definitely wear it, but with stamping... Black stamping or white... yes! This shade is lovely!! It'd be great for wearing around the office! Definitely a very work appropriate shade! Such a pretty pink, and the formula looks superb! 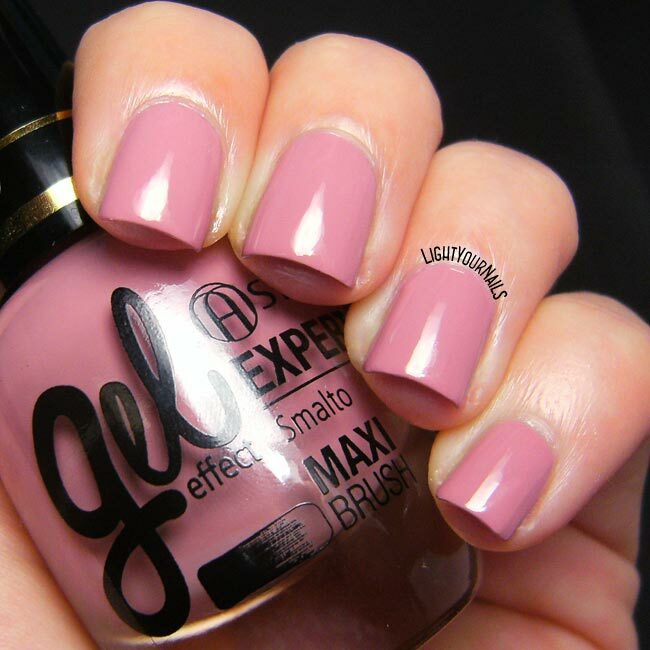 It is a nice color, but I definitely would use it combined with other nail polishes! I don't think this is too "good girl" at all! The color is flawless. Just the right amount of that dusty look. This shade is lovely on you! This color is so soothing, I'm on the hunt to find something comparable. Feel better soon! Maybe some of the Zoya natural shades? I bet there's something like this! Ouu, pretty! This is just the kind of soft pink I love! I guess it might clash against some skin tones indeed!